I realized this year that I had the opportunity to visit different safaris and National Parks. In March, I was given the chance to see tigers in the Ranthambore National Park India. 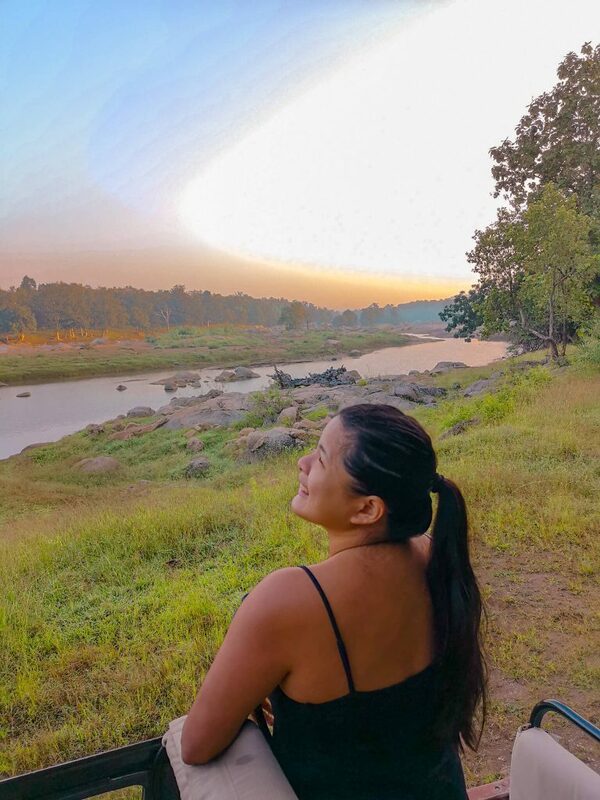 In July, I saw leopards and sloth bear at Yala National Park Sri Lanka. 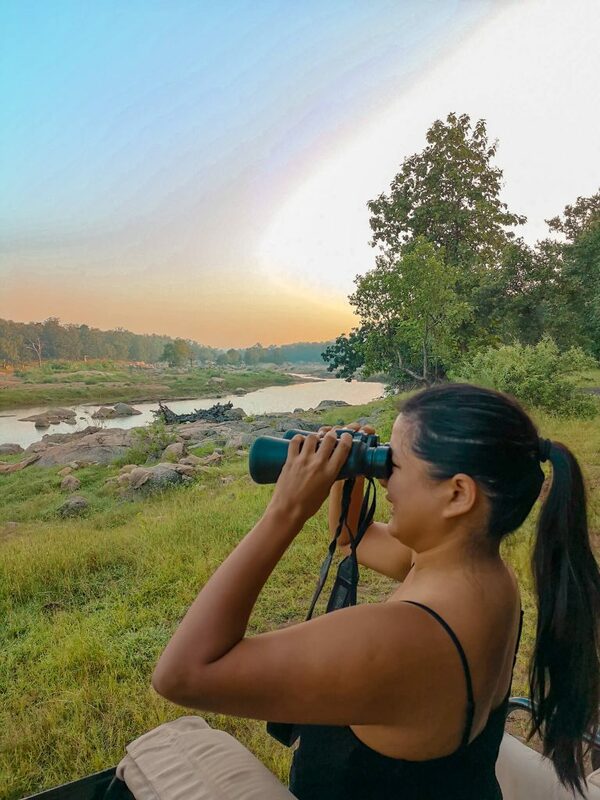 This October, I was lucky enough to be invited by Pugdundee Safaris to visit two of their properties: Pench Tree House (Pench National Park) and Denwa Backwaters (Satura). This year was my lucky year in India. 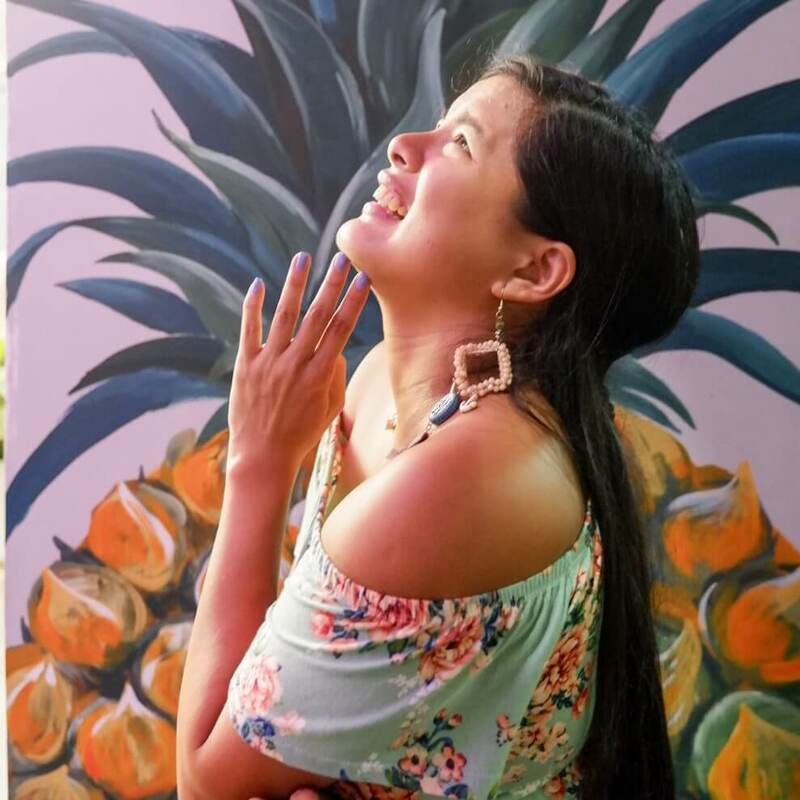 I was part of the Kerala Blog Express in March and I was also invited to come back for Kerala Travel Mart as well as Madhya Pradesh Travel Mart this October. Since Madhya Pradesh is something new for me and the schedule was so timely since I will be in India anyway, I said “yes“! 10 When should you book? Booking with Pugdundee Safari was a breeze. I was in touch with Ram. Pugdundee Safari had 6 different properties and honestly, I was lost as to which one to book. I looked at their website and each property seemed lovely. All I know is that I had 6 days to spare and I was keen to visit at least two of their properties. Ram helped me sort everything out. I asked him for a suitable itinerary given our time line and I asked for an itinerary with the least driving time between each other. 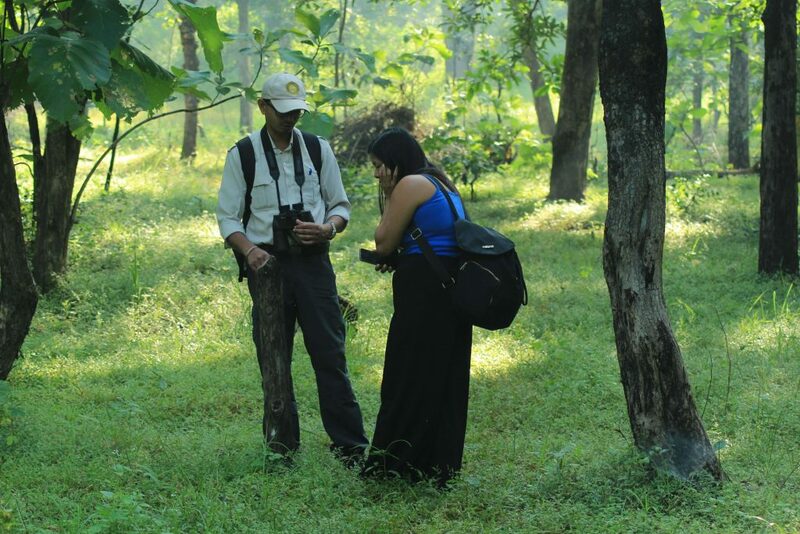 After listening to my requests, Ram set up an itinerary for me to land in Nagpur and visit Pench Tree Lodge and Denwa Backwaters. 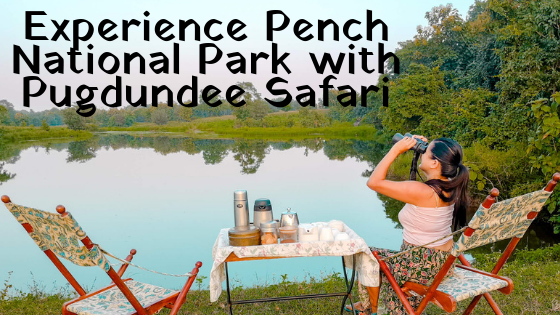 You can easily book your stay at the Pench Tree Lodge by visiting the Pugdundee Safari website and clicking the Book Online button. Or, you can just click here to make it easier. The cheapest rates are a little below INR 18,000 (USD 245), and this includes accommodations for one person including breakfast, lunch, and dinner. 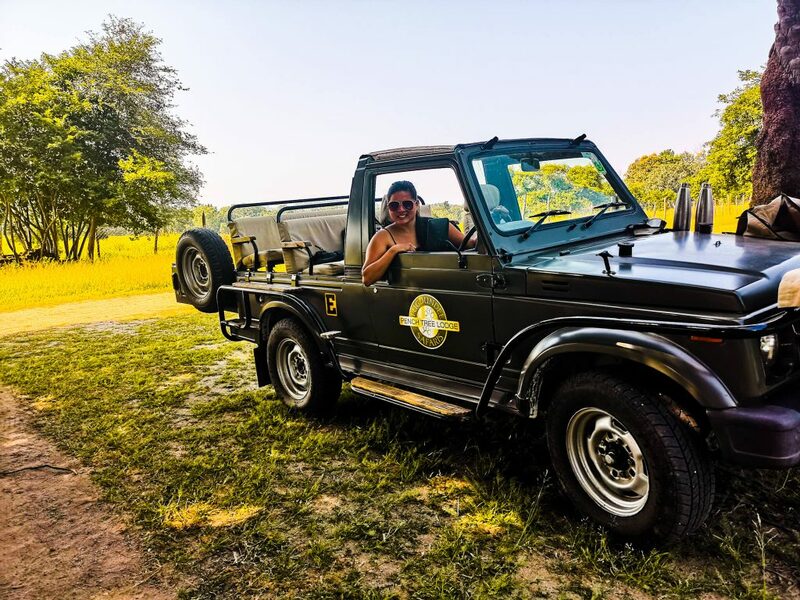 For a two-person accommodation that also includes a shared jeep safari, you’ll have to shell out around INR 32,000 (USD 440). The whole booking process can be done online, after which you will receive a confirmation email. For questions, you can email Pugdundee Safaris at sales@pugdundeesafaris.com. The nearest airport to Pench Tree Lodge is via Nagpur. From there, there is a 3.5 hours easy drive to the property. You may hire a car for 3500-4000 INR or you can ask Pugdundee to arrange the pick-up and drop off for you. Our drive to town was arranged by them and our driver was great. He even helped us purchase a sim card. We met 2 other guests in the property and their experience with the driver wasn’t as good (they booked it themselves). 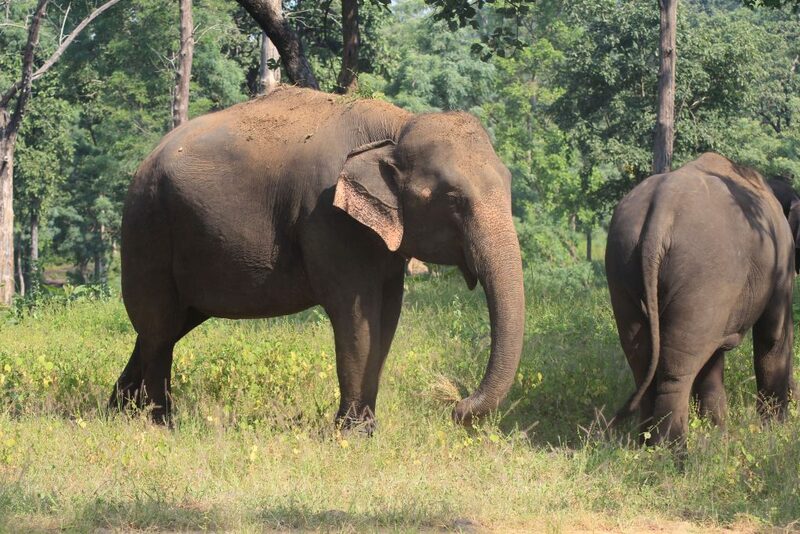 For their return, they asked Pench Tree Lodge to arrange it and they were happier. 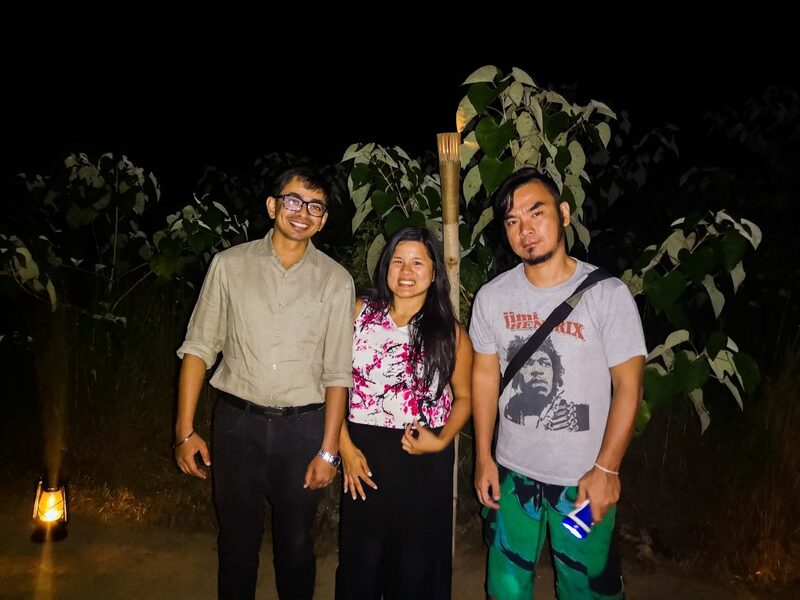 We were welcomed at Pench Tree House by the Manager Harish and Chinmay — he was to serve as our guide/naturalist for our whole stay. We were given a welcome drink as well as a few house rules. One of which is their being eco-friendly, which explains why they don’t use plastics. They have 6 cottages and 6 tree houses. I was lucky enough to stay in one of the tree houses, Tree House #3. 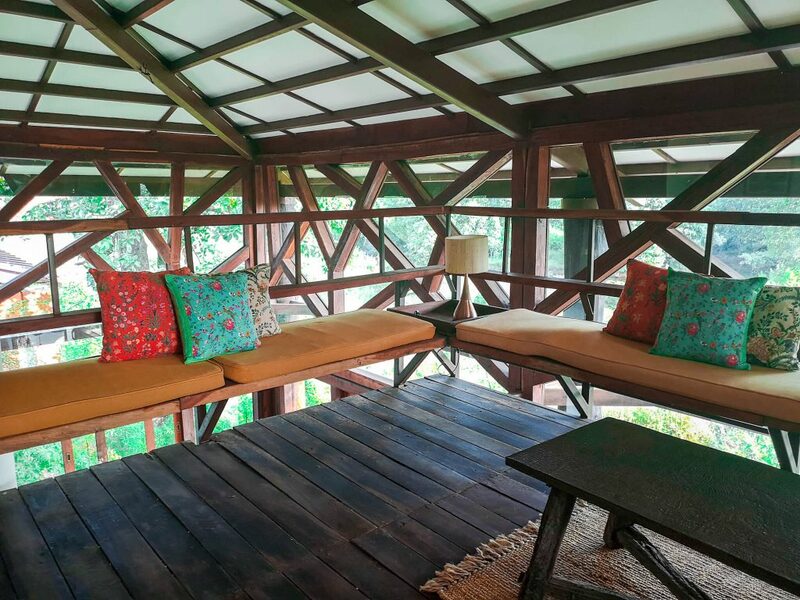 Each tree house was built so the occupants can have some privacy. Though we knew people were around the area it felt like we had our own little piece of forest/nook. 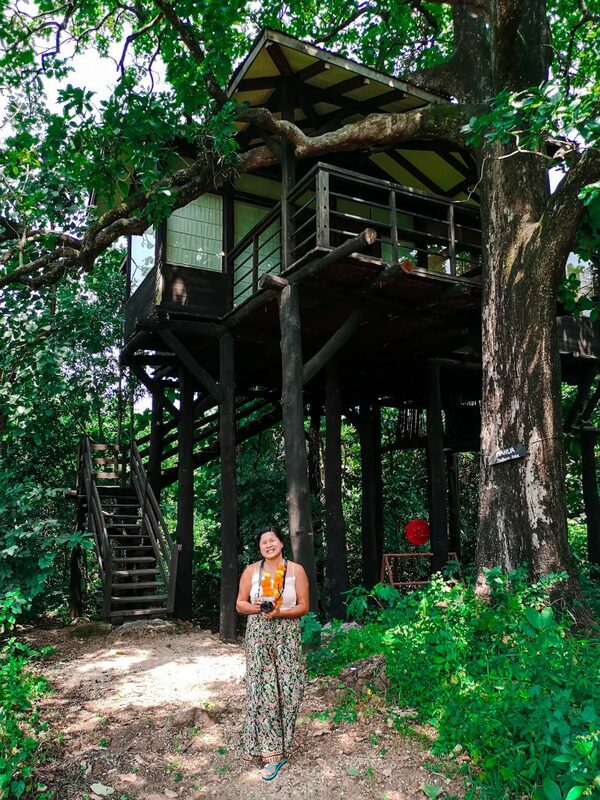 The tree house, built on a Mahua tree, was very spacious. It had everything we needed, except wifi. But hello, you are in the jungle. Two of the people whom we met there said that they were actually on a digital detox and that this was a good place for it. It had a shower with heater. Toilet. Open closet where you can organize your things. Torch for when you wander at night. Desk. Day Bed. Balcony. See, complete right? The common area is where guests can hang out and mingle or just chill. They have the dining table, they have two long tables. We were there a day before the park opened for the season so we had one day to just chill. There were just 2 other guests. The common area was very relaxing. It had natural light, high ceiling, glass doors with wooden outlines and plants on the table. The 2nd floor was like a library. There are huge sofas where we spent time working, reading or well, chatting. There is Wi-Fi in the common area. Don’t count on it though, I was able to send a couple of facebook messages but I wasn’t able to do much work. They also have a non-heated pool which works well for hot afternoons. The pool was surrounded by greenery, half in the shade and half in the open so you can choose which side you’d like to be on. For late afternoons, I preferred grabbing a glass of beer while chilling and chatting with other guests about how our safari sessions went. They also serve Mahua Wine, Whiskey, Old Monk and more. Just ask the bartender what they have. For a luxury property, the price of drinks was definitely reasonable. 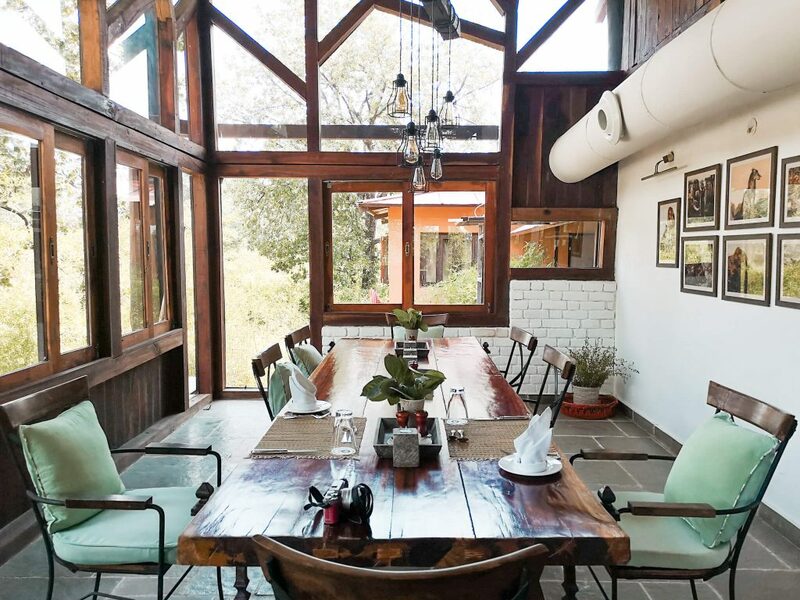 Each meal in The Pench Tree Lodge consists of 4 variants, rice, chapati, salad and dessert. Frankly, the chef is remarkable. I enjoyed the cuisine here. The servings are generous so much so that I even asked the chef to give me smaller portions as it was so good but too much. The staff were always ready to refill my plate but I was already too full. It was hard to resist but I can’t waste food. For breakfast, we loved the sunshine egg. If you go to this property, ask the chef about it. It’s good. The chef also comes out after every meal and he asks if we have any requests. He asked if its okay if he serves Indian food, and we love Indian food so we said yes. Each meal we had in the property was good, from the curries, tandooris, the veg as well as the chutney and pickle — everything was good. We even wanted to ask for the recipe. 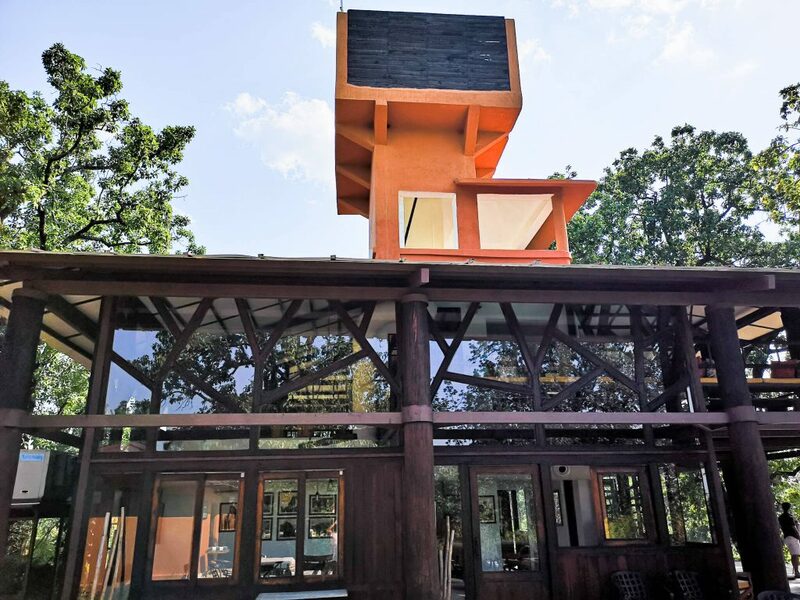 Pench Tree House is also very creative. 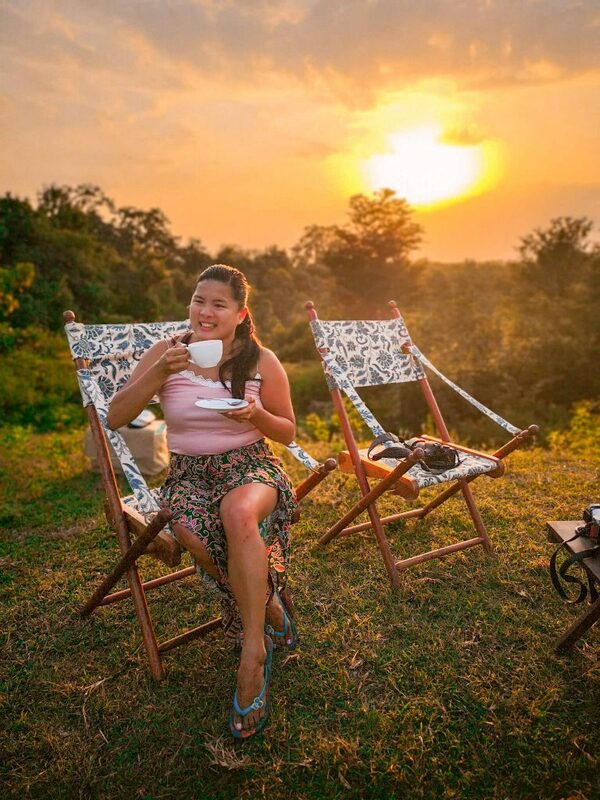 Our meals were either by the dining table, by the bush, by the pool or by the organic farm. It felt like I was constantly amazed by the property and with them trying to mix this all up, it makes for a perfect romantic date. They also served drinks. Tea and coffee are complimentary; however, beer and alcoholic beverages are chargeable. 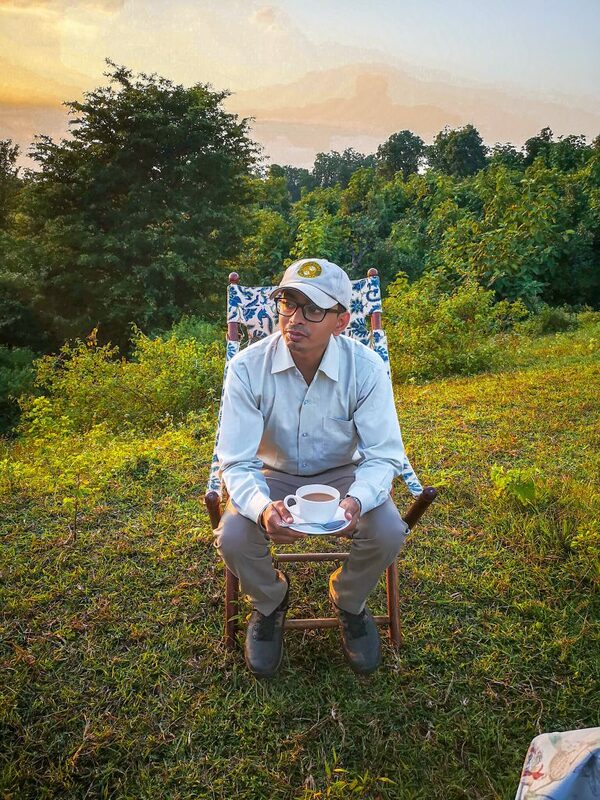 One thing that is notable about Pench Tree House is the staff. Let’s begin with our Naturalist, Chinmay. He was obviously passionate about animals. Just like in Leopard Trails in Sri Lanka where we had a very knowledgeable guide — we felt the same treatment here. Again, it matters. We learned so much more about its flora and fauna. This just makes the safari more interesting. 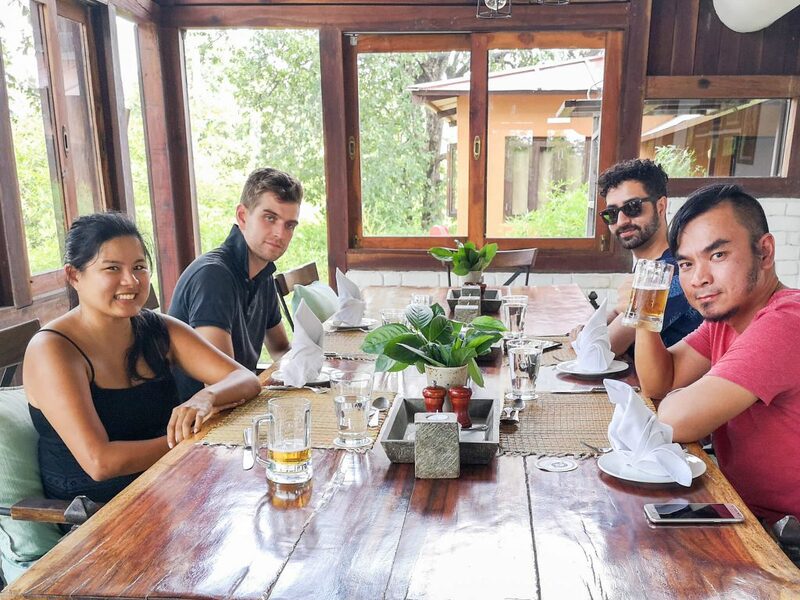 Chinmay was also discussing our program with us every now and then, I mean of course, we wanted to have safaris but we also liked to have other experiences. He arranged a lot of interesting activities for us. He really heeded our requests. Whenever we arrived, coming from any activity, the welcoming committee was always there ready to serve a cold towel, drinks, biscuits, tea and what not. Actually, during the duration of my stay whenever the staff would see the guests they always ask if there is something they can do for them or offer them. That is quite nice. I already talked about how lovely the cooking of Chef Pankaj is. There is also another person, Mukundi, who seriously kept us entertained the whole time. Our plates were always full. It was like he anticipated our every need. It felt like having a private butler really but that’s how attentive he was. Pench Tree House is also like a jungle feel. On the first day, my companion and I were getting lost inside the property. Everything is labelled well but still each treehouse felt isolated on its own. Something guests would love. Safaris start early mornings or bush dinners end around 9:30 or 10 in the evening. As a result, the staff would gladly lead us to our rooms and pick us up in the morning to ensure that don’t get lost. The path is lighted well with lamps and we are given torches in our rooms but as an extra service, they can pick you up. Seriously, the staff in this place is commendable. If I could tip anymore, I would (too bad we didn’t have a lot of rupees). Candlelit dinners under a canopy of stars, and surrounded by knee-high grass? Check. Hearing the silent echoes of jungle creatures at night? Check. Tasting the local flower liquor in tandem with the best of a chef’s creations? Check. These are just some of the things that you cannot miss at Pench Tree Lodge. It’s wild, it’s romantic, and it’s totally straight out of a good story book. There’s an innate fascination connected with staying in a tree house. For some, it brings back memories of childhood when everything was much simpler. For others, it brings back the innate human fascination with control over his surroundings. 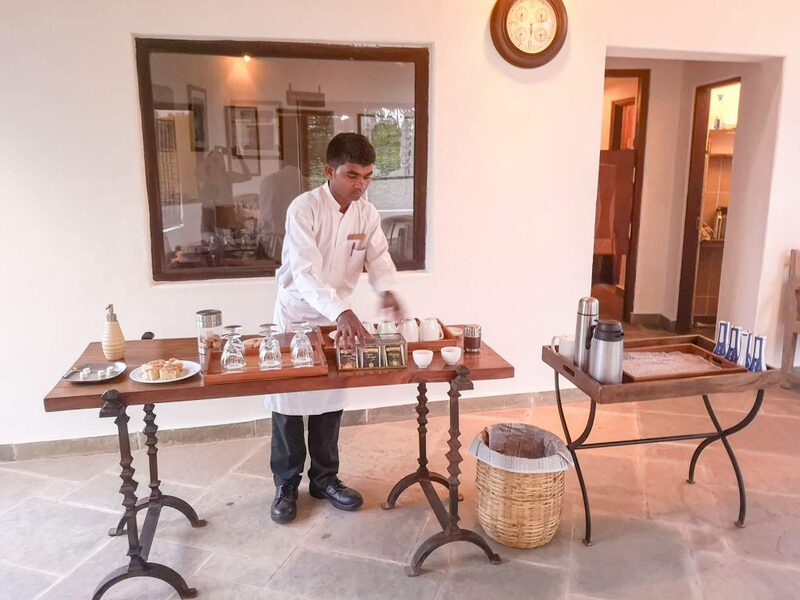 On top of this primal satisfaction, Pench Tree Lodge also offers a higher level of hospitality, proving that even on top of exquisite settings and amenities a five-star service still shines through most. 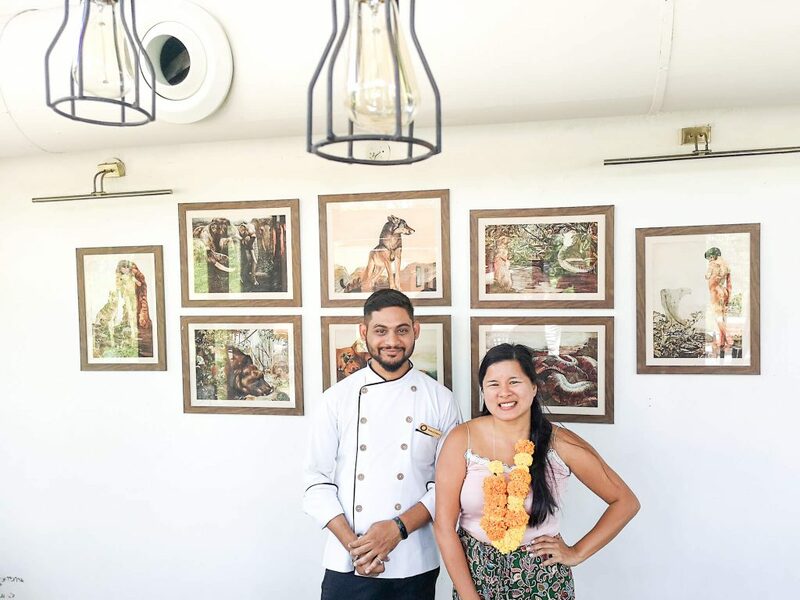 The people here don’t just stick to their routines and their job descriptions, but they reach out to really try and make your vacation a memorable one. And in my case, they didn’t fail! 1. 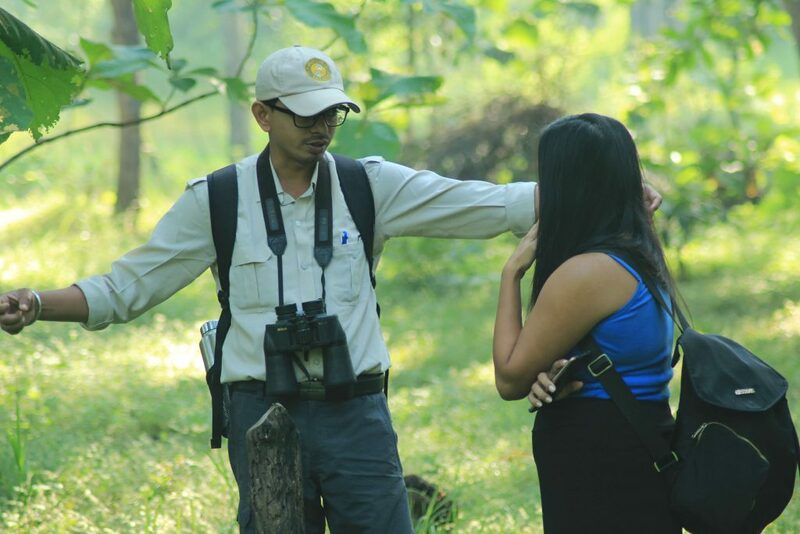 Nature walk in the property – You can see a lot of birds and different types of flora and fauna. Chinmay told me that all the plants here were natural and only a certain area of the property is used for construction as they want to keep it as natural as possible. I really found the place very relaxing. 2. Picnic during sunset – We had a picnic by the swamp area where we saw the birds either migrating or coming home. The sunset was spectacular and just spending time there was lovely. 3. Bush Dinner – As the two other guests described, it felt like in a middle of nowhere — again, very romantic. 4. Organic Farm Dinner – They set up the place complete with bonfire where all the guests can enjoy dinner by candlelight near the organic farm. 5. Cycle – The wide expanse of the property offers a lot of cycling ground! 6. 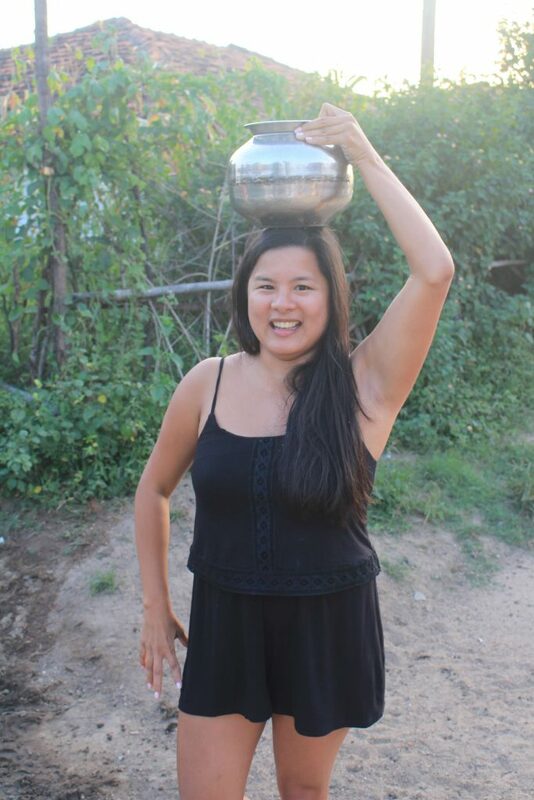 Village Experience – I have been adamant of always having local experiences when I visit an area. I mean, it’s the best way to learn and to imbibe the country’s culture. Also, it’s the best area to interview people and find out how life really is in every part of the country we go to. 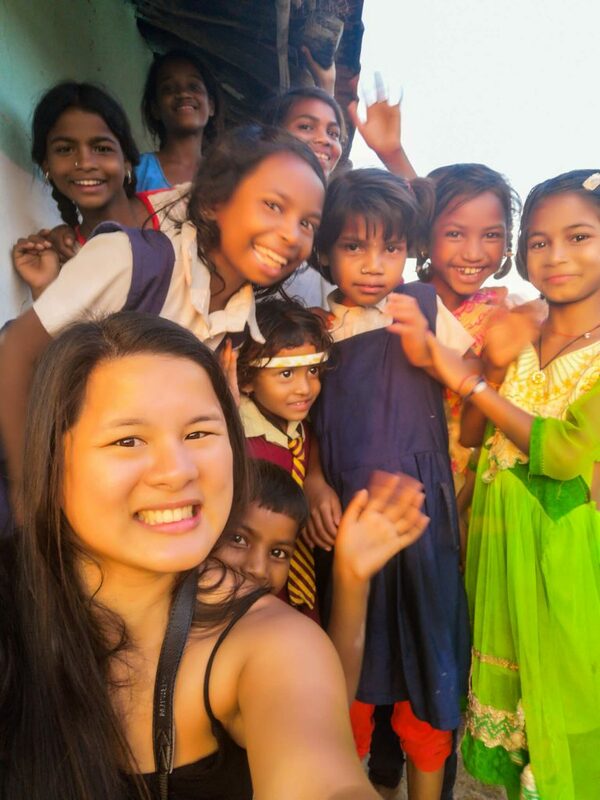 We visited the Sarah Hiri Village just 2 km from Pench Tree House. Here, we met different families who willingly let us in their homes. Note, they are from the Golbi Tribe and they do not learn English therefore language was definitely a barrier. 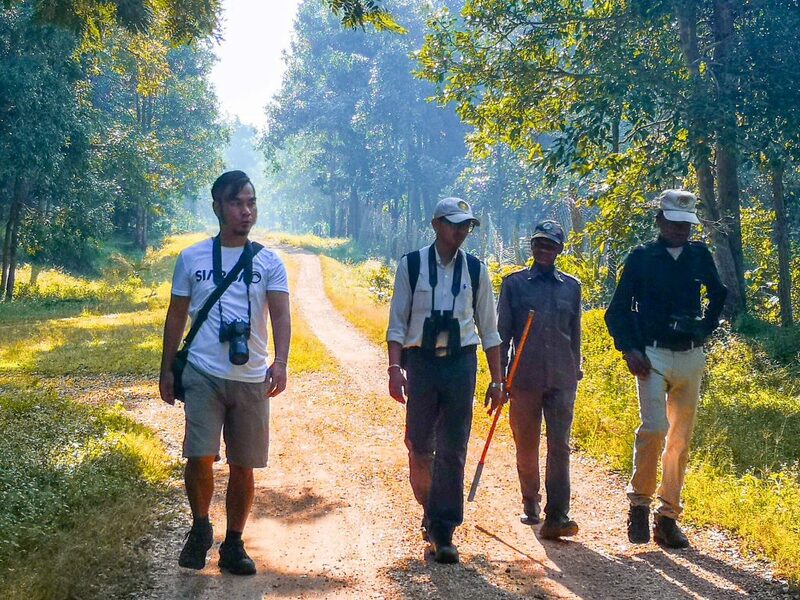 Good thing our guide Chinmay can speak Hindi and he served as the mediator between us and the community. 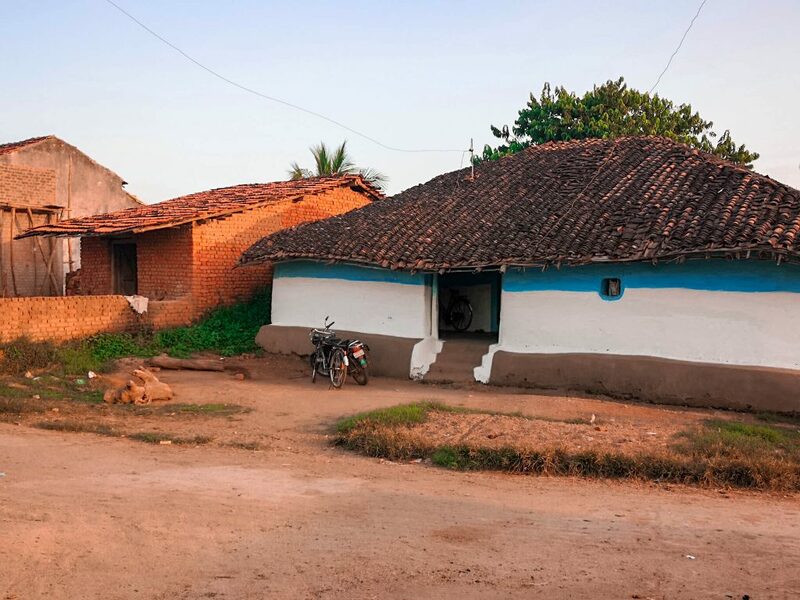 One kind family allowed us to enter their home made of clay and showed us the uniqueness of these homes. I realized that they keep their houses low to keep cool. We met a lot of children by the pump (deep well) trying to get clean water for drinking or cooking or whatever reason. We spent some time asking them questions and just hanging out with them. They were so kind. We wished we could communicate with them more but then they barely understand English so we needed a translator. We played with the kids. 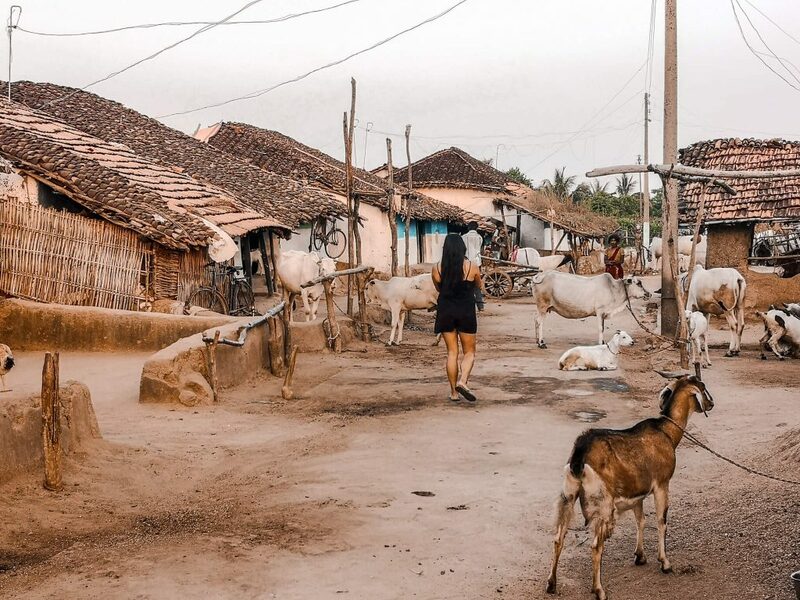 I actually enjoyed witnessing the village life. Seeing the cattle returning back to home. The children walking back from school. The kids just playing and everyone just hanging out watching the sunset before they eat dinner and end their day early. 7. 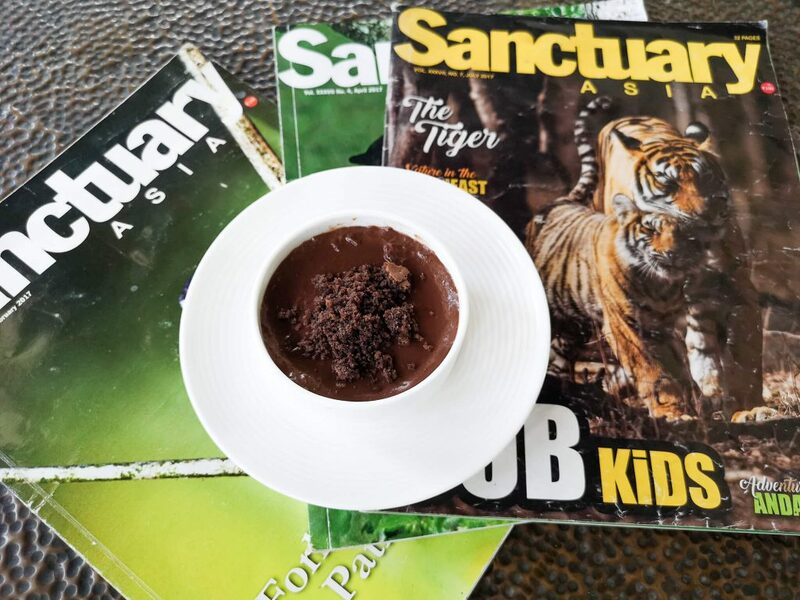 Safari – Of course, the prime adventure here would be your trip into the safari! Pugdundee offers various tours, such as their “Photographer’s Special” which leads you through the most picturesque segments of the safari. 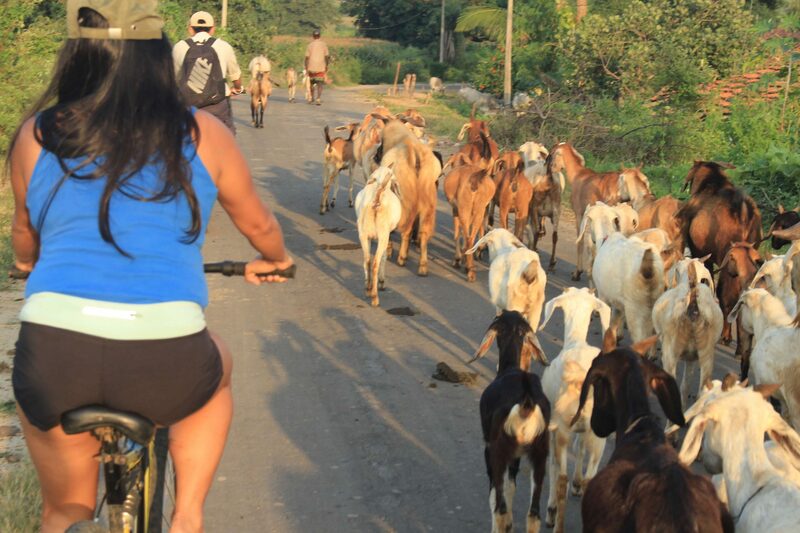 There are also bike tours, walking tours, and jeep Safari which we did. 8. 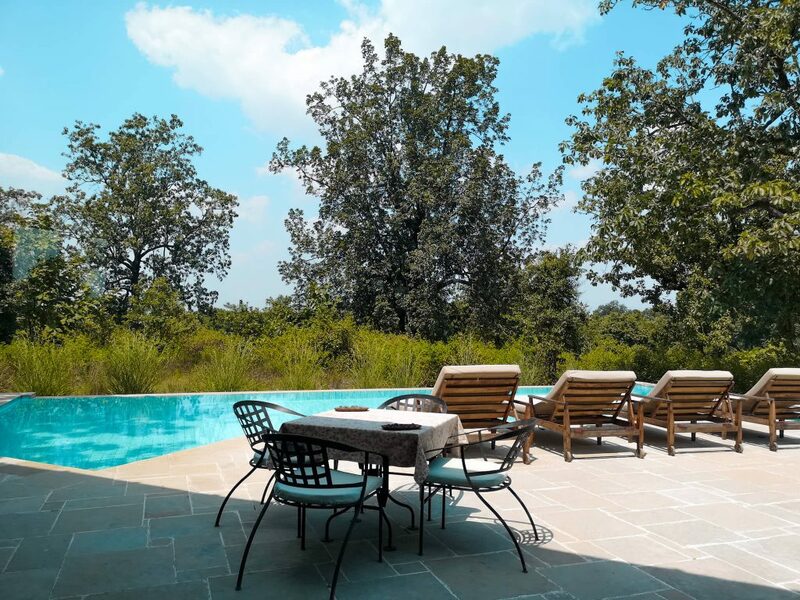 Swim in the Pool – The Pench Tree Lodge offers an amazing pool that offers a surreal experience of taking a dip in the middle of the wild and lush landscape. It’s a cool retreat especially if your trip falls on a hot summer day. 9. Nature Trail – Honestly, this is one of my favorite experiences. I kept messaging my brother Benj because I feel like it would be something that he would appreciate as much as I do. Inside the park, they set up a 2-km walking forest trail. They said that they are fixing the longer route but since we were the first guest of the season, and not a lot of people do this trail, it wasn’t ready yet. a. If we see a leopard or a tiger, don’t be afraid as they leave humans who are walking. But it’s good to stick together. b. If we see a sloth bear, we either avoid it or if its close then we have to make noise for it to leave. But we always had to stick together. c. Don’t be too noisy so that we can spot the animals. During our nature walk, I saw a spider eating its prey (it was my first time to witness this up-close). It’s kind of sad for me but also fascinating. I saw spider exoskeletons, they shed their whole exoskeleton. Chinmay explained the trees and the plants; some are used as mosquito repellants, some for the heart or for blood pressure and more. Occasionally, we would see animals cross. Another interesting thing is we were walking the same path used as a highway for tigers, leopards and more. We even saw fresh pug marks which meant we had just missed our chance to see them as the tiger had just crossed. We followed the marks to see where it came from and I was amazed at how the guides knew the exact behavior of the tigers. We were shown the scratch marks and the path. It was really interesting. We also saw a lot of common crossing areas where the park established trap cameras in order to census and document the animals. I definitely enjoyed the forest walk. I learned a lot. When doing this you have to make sure you are wearing proper trekking shoes. I stupidly forgot to bring one so. I managed in flip flops but it is not recommended at all. It would be good to put insect repellant too. 10. Market – We cycled to the market. It was 5 km going and a 5-km return so a total of 10. To be honest, it’s been awhile since I went biking. I remember doing so in Central Park, but we didn’t bike too much. I wasn’t super confident with my biking skills so when Chinmay asked if I was ready to do 25 km, I said, “let’s do a shorter one and play it by ear”. We visited the market instead. Chinmay explained how it is actually a roving market. 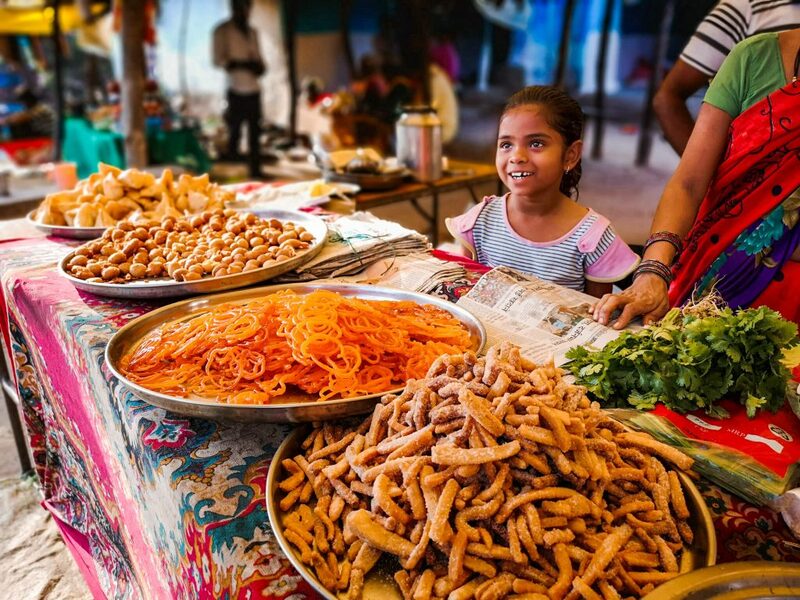 Each village has a market once a week for 3 hours: 3pm to 6pm. Then the next day they move to another village. He has the schedule though. It was interesting to go around the market. We got to try making Jalebi. I failed at it though but it was interesting. We saw the different kinds of spices, lentils, tobacco, veg and all that they need to make those sumptuous meals. The people in the market also used old weighing scales — it was nice to see. The market was very busy with people haggling, competing for prices and what not. Again, just like our village visit, it was nice to see daily life of people. 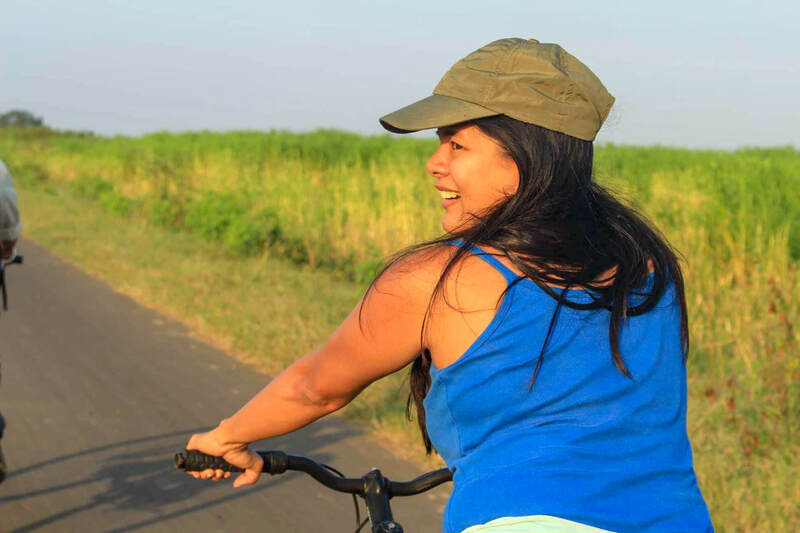 I survived our 10-km cycle and I was more confident. I guess next time I can do more. After all the meals they are giving me in the lodge, some exercise is indeed needed. 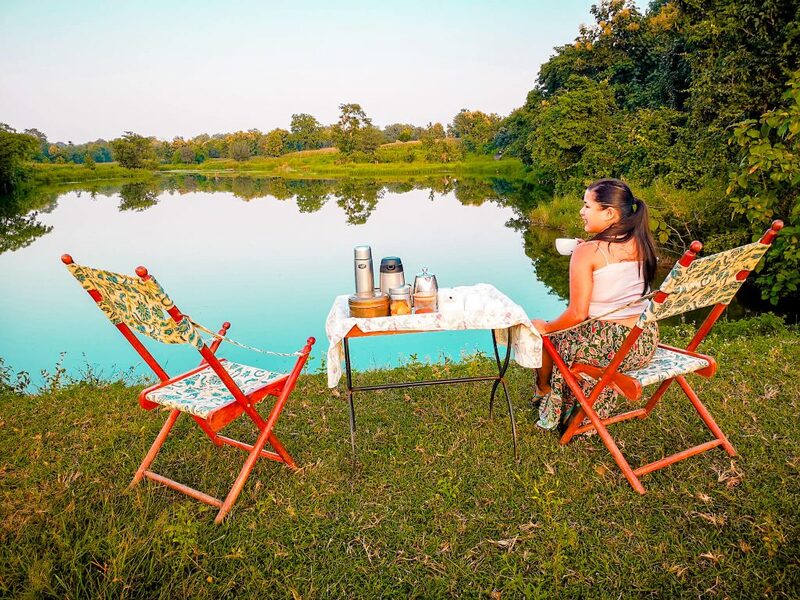 Pench Tree Lodge is a place where you can enjoy adventure activities but have ample time to chill and relax. It’s one with nature and it removes the city distractions that what you end up doing is either socialize, rest, sleep, or read a book. I mean, can you ask for something more? This is definitely a good place for family and couple vacations. Sustainable tourism is all the rage these days, and with good reason. There are a great number safari tours in the world, and many of them leave much damage to the safaris they enshrine for their visitors. 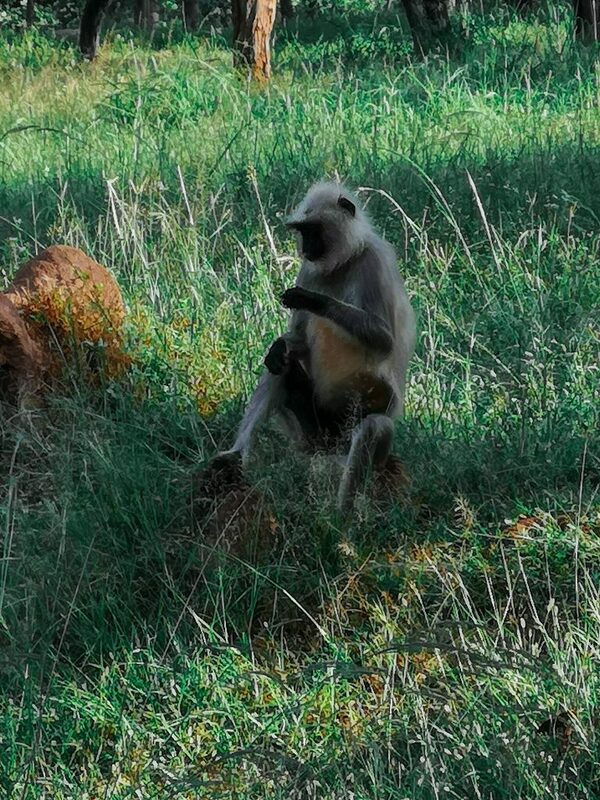 Without enough regulations on how both the tour company and the guests conduct themselves, the wildlife and their habitats tend to get damaged over time. 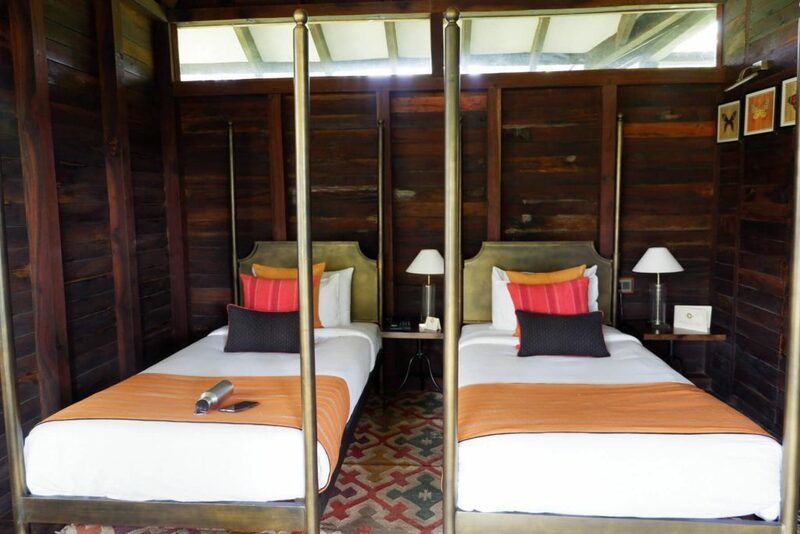 In India, Pugdundee Safari is recognized as among those with the most sustainable practices. They are not only involved in preventing the damage the tours may cause, they also put forward many initiatives to protect the environment. One example is how they give out stainless steel flasks to their guests to discourage them from taking plastic bottles. There are water stations where these can be refilled. Even the lights are carefully calibrated so as not to disturb the animals around at night. As a plus, there’s an organic garden from which most of the food is served! This way you’re not only served fresh and delicious meals, you can also take part in taking care of the immediate environment. When entering the lodge, you’re not allowed to bring any food. There are coffee and tea bags inside, so you can have some hot beverage. Don’t worry if the strong winds make the tree house sway somewhat. This is natural! The house is rated to ensure it does not take structural damage from these winds. If ever you need to step out after sunset, call on someone from the tour company to accompany you. Remember that you’re in the wilderness, and Pugdundee Safari cannot be held responsible for your own negligence. If you’re a light sleeper, be warned that the jungle hosts a near-constant chirping of birds. Bring earplugs, if you think this might disturb you. Bring lots of insect repellent if you would like to keep your window open at night. They would advise you to close it to keep the insects out, but who can be blamed for wanting to feel the wild jungle night wind? Did you know rodents can open luggages? This is a nasty surprise to learn, so keep everything locked. Some of these jungle furries may be able to sneak in and make away with your stuff, while you’re out on the tour. While the safaris are open from October to June, they are best experienced during the sunny months of October to March. These months present the least chance of rain spoiling your trip. April to June is also good, but it tends to get too hot. On the upside, some of the wild animals are most active in this season, so it’s up to you to brave the Indian heat. Still, it’s best to prepare for any eventuality. Standard gear should be light clothes, preferably cotton ones. Bring protection, such as hats, sunglasses, and sun blocks. Pack a jacket or your favorite cold-weather clothes, as sometimes the evenings can offer chilly jungle winds. This is especially true if you’re visiting from mid-December to early February. Avoid bright and flashy colors to prevent startling the animals. 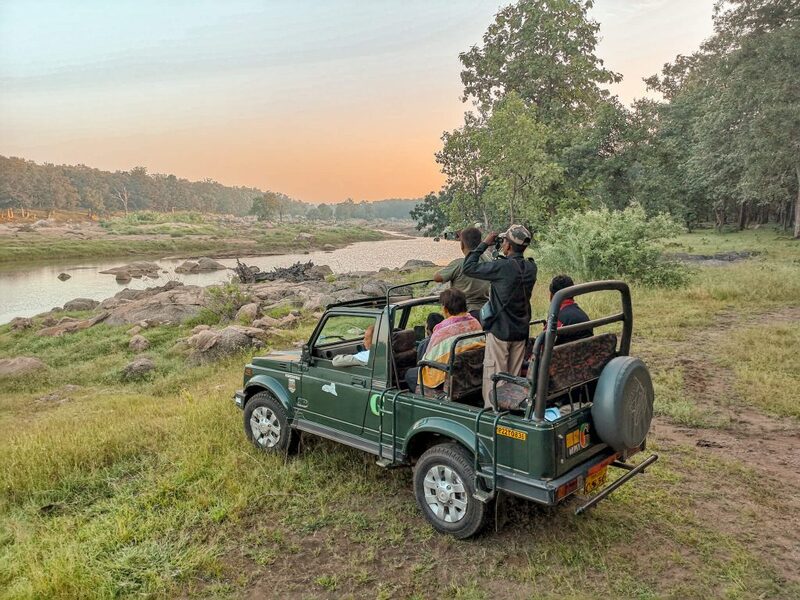 If you ever find yourself wishing you can get away from the humdrum of civilization and go on a truly amazing nature experience, check out Pugdundee Safaris and Pench Tree Lodge. It’s worth every bit.